Mary Lou Williams, a jazz giant with formidable piano chops and stellar composing and arranging skills, welcomed fellow luminaries including Monk, Dizzy and Sarah to her Harlem apartment after hours, where she shared her musical discoveries. Melba Liston, another jazz giant with formidable trombone chops and stellar composing and arranging skills, was a younger sister of sorts to Mary Lou, who performed world-wide with the likes of Dizzy and Gerald Wilson. Both Mary Lou and Melba are far from household names - they’ve been hidden in plain sight - because they were women. Mary Lou’s Apartment presents compositions and arrangements that have been overlooked - great music that’s endlessly contemporary. 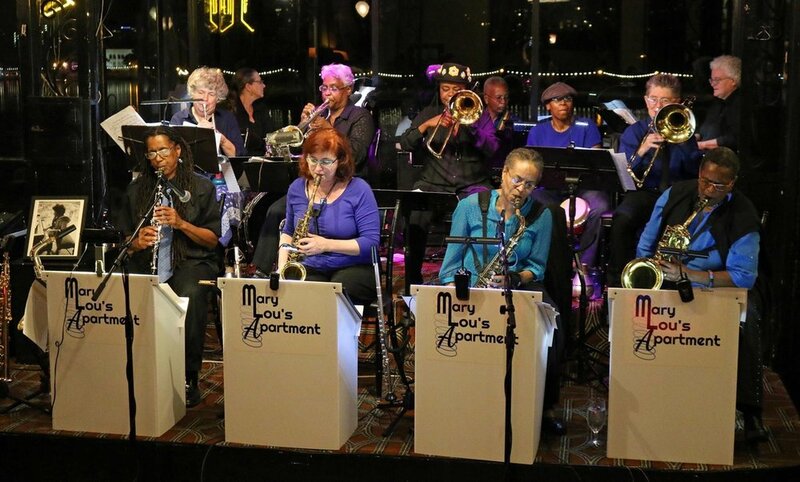 Enjoying packed houses at their shows this year, Mary Lou’s Apartment instills heartfelt appreciation of Mary Lou and Melba’s sophisticated compositions and radiates its own unique soulful jazz sound. Be on hand as Mary Lou’s Apartment takes flight for its Ashkenaz debut. Come on over to the Apartment!